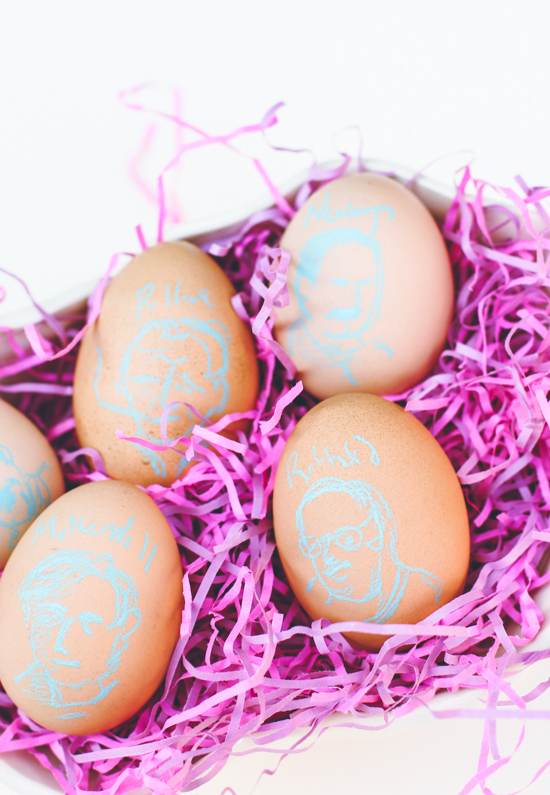 Easter is just three days away and I have one last egg project to share before its too late. 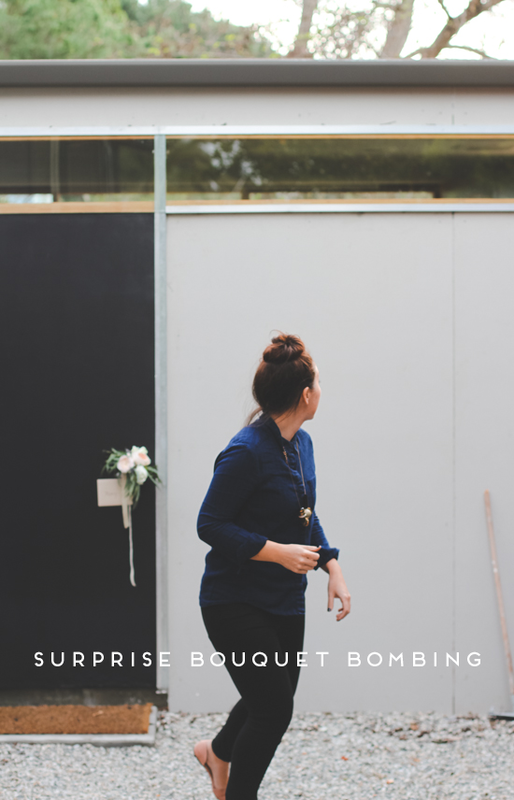 Naturally, it’s super easy…and may even involve flowers. Hint: It does! 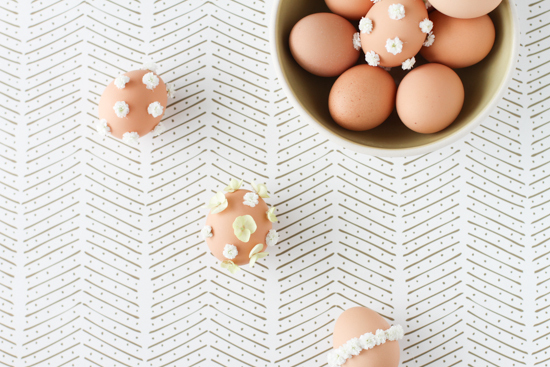 As a last minute way to decorate eggs, I picked out some baby’s breath and a hydrangea from a bouquet I already had and made these flowery polka dot eggs (along with some striped options). If you’re looking for something simple and pretty, versus campy and kiddish, this is the way to go. 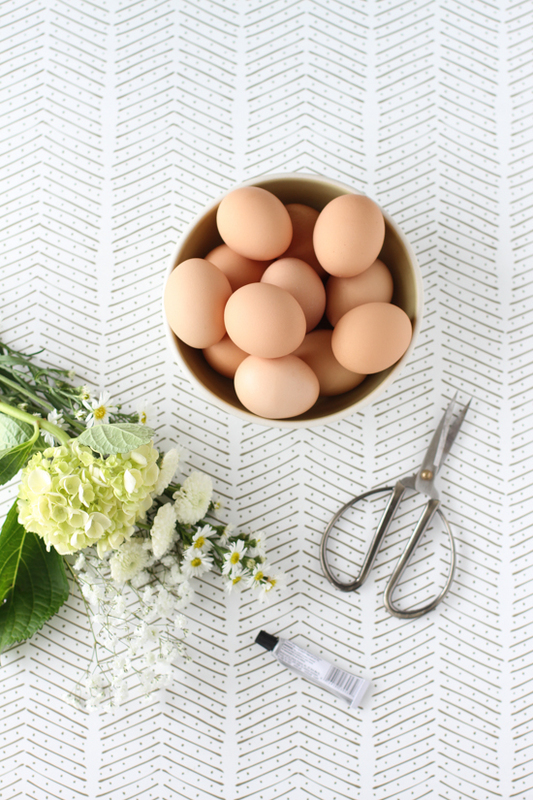 They’d look great as decoration for an Easter dinner party as well – as a centerpiece or nestled into each napkin as a pretty treat for guests at the table. 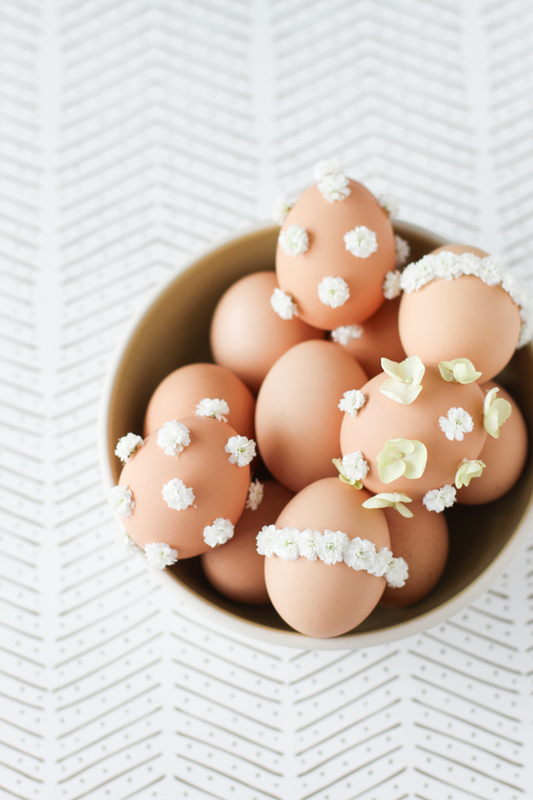 How To: Cut small flowers off the stem and glue them onto hardboiled eggs in a random pattern. Thats it! It’s really that simple. 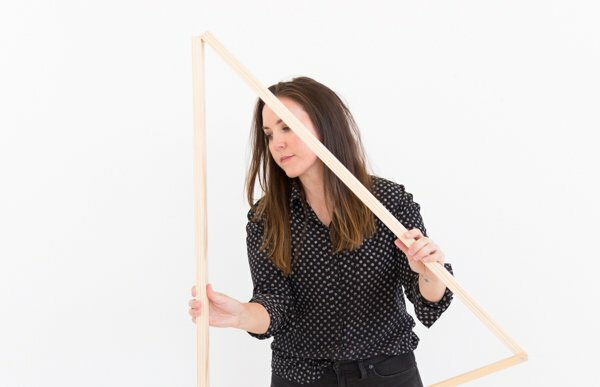 If you’re really in a hurry, you can use a hot glue gun instead of regular craft glue, as well. Admittedly, I’m not typically a big fan of baby’s breath or hydrangeas. BUT in this case, the small blooms work well for the eggs, scale-wise, and the fact that they each have a flat back makes them easier to attach with glue. So, what do you think? 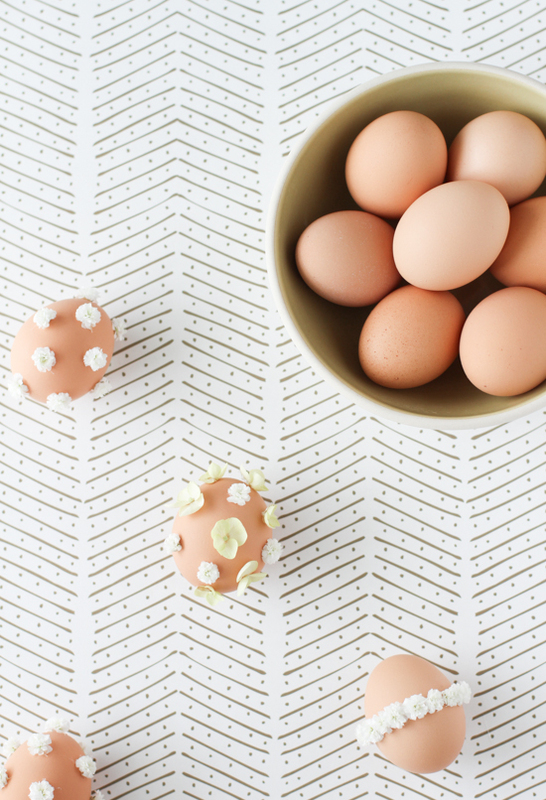 Will you try making these polka dot flower eggs for Easter? 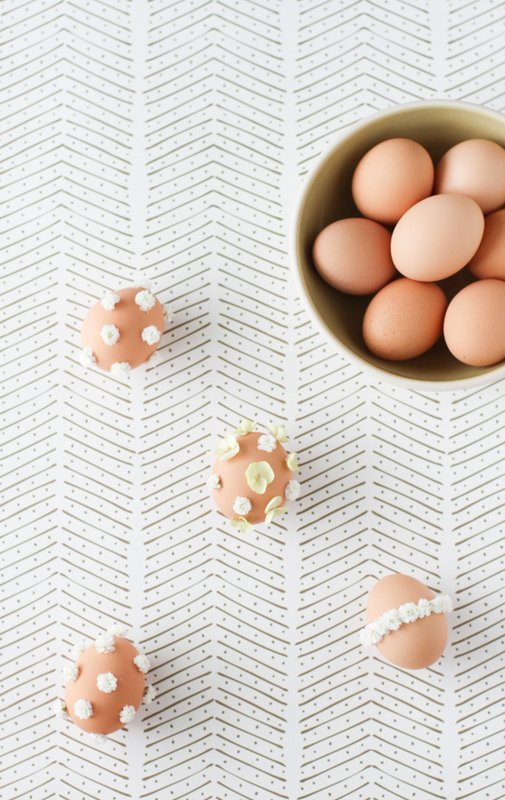 For more DIY Easter ideas, visit the Easter project page. This would be fun with some colorful and varied textured flowers! Absolutely Rebekah. If I had more time, I would have dyed the baby’s breath different colors before attaching them to the eggs. Super cute! I love that decoration, great post! Thank you MySecretFashionPoison and CoolAllure. I appreciate that. These are SO sweet!!! They turned out perfect and I love the baby’s breath!!!! Aw, thanks Kel! I’m normally not a big baby’s breath person, but in this case, I do kind of like it. Fantastic! 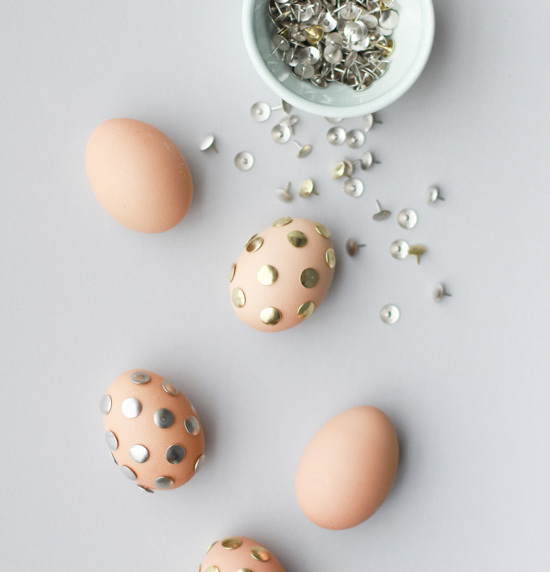 Love the idea of gluing something to eggs.